There is no dream too big or too small. SabbaticalHomes.com is a place that nurtures community and ambition. Mary Jane Baxter has two loves, fashion and journalism, but sought a way to combine the two into a career. After working on a BBC special on crafting accessories from inexpensive items, she realized that there was a greater interest than she thought in sewing, crafts, and even hat making. 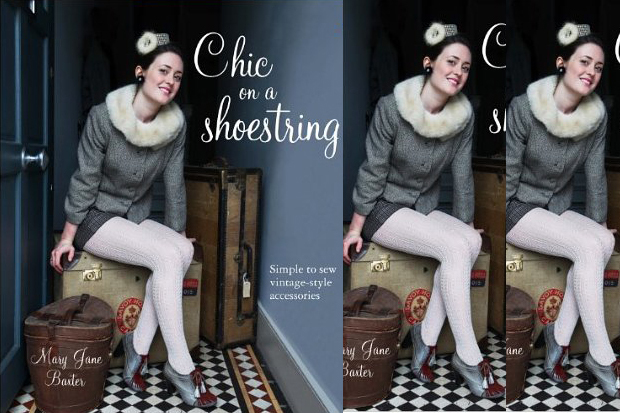 The idea of a book was born and now she is about to celebrate the release of her first volume, Chic on a Shoestring this May. “When I look back, I realize I’ve been waiting to write the book for a long time. I had given up my full-time job as a reporter and producer for the BBC to explore my creative side. I’d always loved making hats but it is tough to make a living doing that alone,” explained Baxter. A lack of funds turned Baxter into a resourceful hunter of all things fashionable, but cheap. “If I saw something I couldn’t afford, I’d try to make it myself. Then I started doing workshops around the UK and writing pieces for magazines on craft projects.” After the success of the BBC special, a book was the next step. “My journalistic background really helped with the writing. I’m used to very tight deadlines and I was able to finish the book in a relatively short period of time. My blog forced me to come up with regular ideas even if I didn’t feel like it. I now know that writing the book is only the start of the process,” Baxter said. 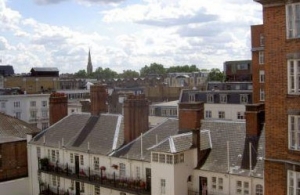 Baxter went herself to SabbaticalHomes.com to rent out her London Flat. She first heard of the site from her brother, Anthony, a filmmaker who was traveling from Scotland to New York. Baxter went herself to rent out her London flat in order to visit Rome. “SabbaticalHomes.com nurtures trust and mutual respect and although it’s obviously a business, it has a different and personal approach. It feels more like a community than a property web site,” said Baxter. In that spirit, we salute Mary Jane Baxter on her new book and wish her many more as she successfully navigates the fashion world and brings us her expertise via her journalistic style. Her book is now available on Amazon. Be sure to check out her website and blog. Sara Priztkat frequently corresponds with SabbaticalHomes.com members via our communications team. Her goal is to help you optimally use our site to find, or offer, the perfect home exchange or rental. She also enjoys writing about our members, their adventures and accomplishments. Do you have a Sabbatical Homes story you’d like to share? We want to hear from you! Connect with us on Facebook, Twitter, or Google +.